The tales are indicative of a great verbal artist…The introductory material is extensive and competent…A rare case study of a folk artist over a long period. Elizabeth Mathias is associate professor in the department of sociology and anthropology at St. John’s University, Jamaica, NY. She has studied at the University of Akron (BA, 1962), Kent State University (MA, 1964), and the University of Pennsylvania (MA, 1972; Ph.D., 1974). She has published several articles on various aspects of Italian culture. This study is not only an exemplary presentation of folk narrative, but also a sensitive and moving view of the way folklore exists in a real person's life. 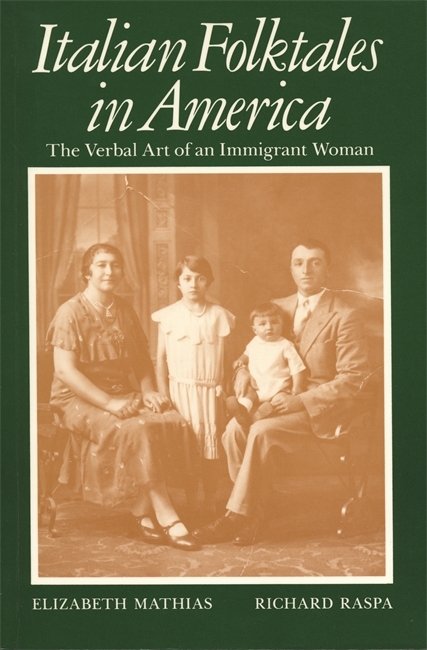 Mathias and Raspa make Clementina Todesco's narratives available to the rest of us, and, equally and perhaps more important, they help us better understand the nature and character of the immigrant experience in America. The tales are indicative of a great verbal artist . . . The introductory material is extensive and competent . . . A rare case study of a folk artist over a long period.